There are currently 5 users and 2317 guests online. Had a great day out of Mindarie sunday! Weather was fantastic left at 430 with lines in the water at 530. 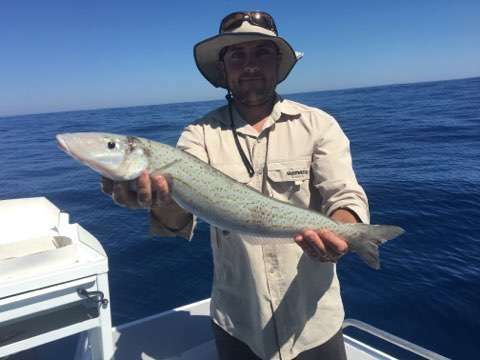 Started off with 2 big baldies followed by a huge kg whiting and a couple of dhuies around the 70 mark. Surprise catch of the day was a spangled emperor ! 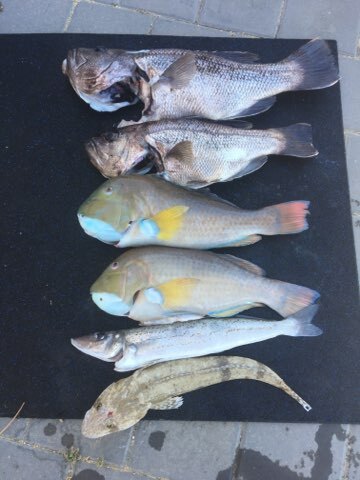 Kept the two baldies and two dhufish between the 2 of us. 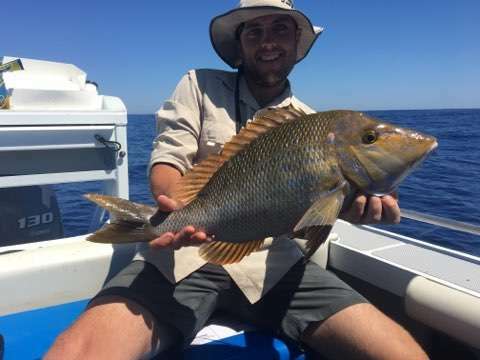 That’s some kidney slapper, not seen many, if any bigger than that. 1. Did you let the spanglie go? 2. Did you get a measure on that king George? Yeah released the spanglie to find his way back north! Bet you didn't pick it for a KG on the way up.